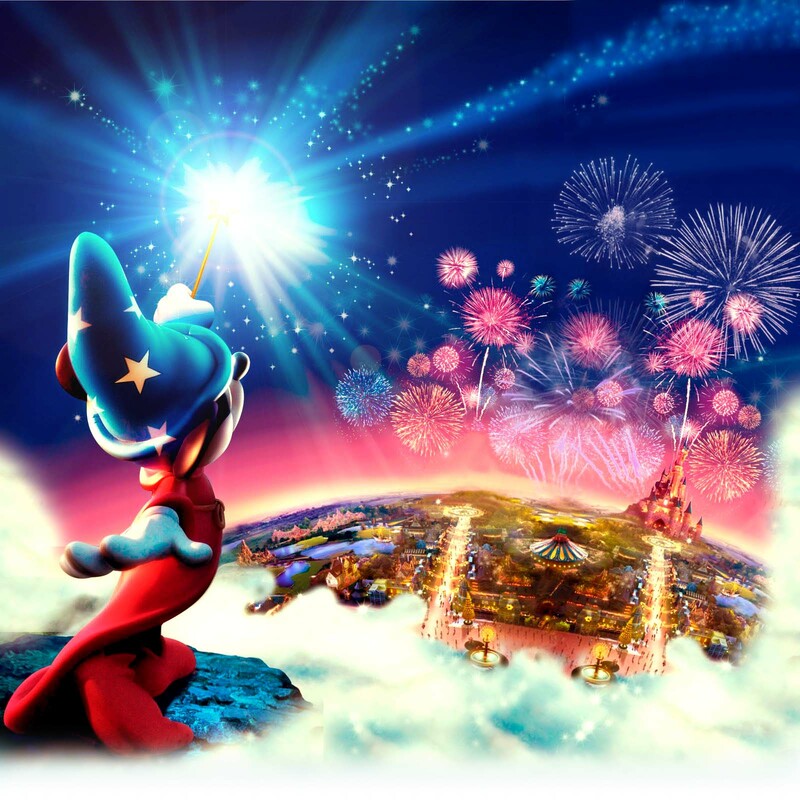 Mandas Disney Blog: Disney Blog Hop Thursday! Disney Food! Welcome to this weeks Disney Blog Hop hosted by Babes in Disneyland! If you are new to the hop ... welcome! If you've been here before ... it's awesome to see you again! 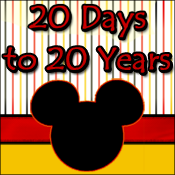 :D Please make sure you check out the rest of the Disney Blog Hoppers at Babes in Disneyland! I'll start off with some of my favourite foods from Disneyland Paris! On my most recent trip last August, I hadn't started blogging yet ... so I don't have nearly as many photos of DLP food as I would have liked! There's so many foods I love that I don't have photos of! (Probably cause I nommed them all up before I remembered, or even had the chance to take a photo! lol!) But here goes! 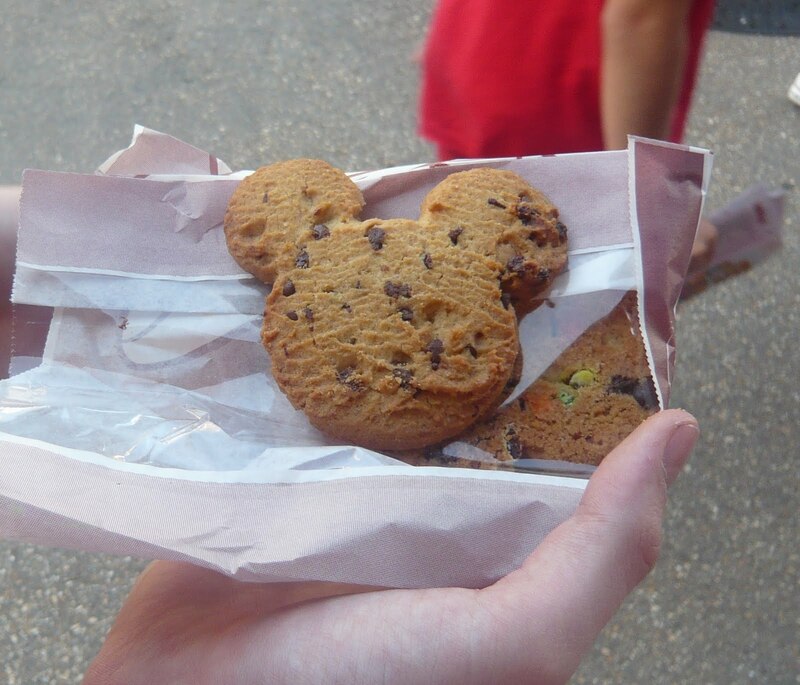 First, here's a classic ... the mickey cookie! 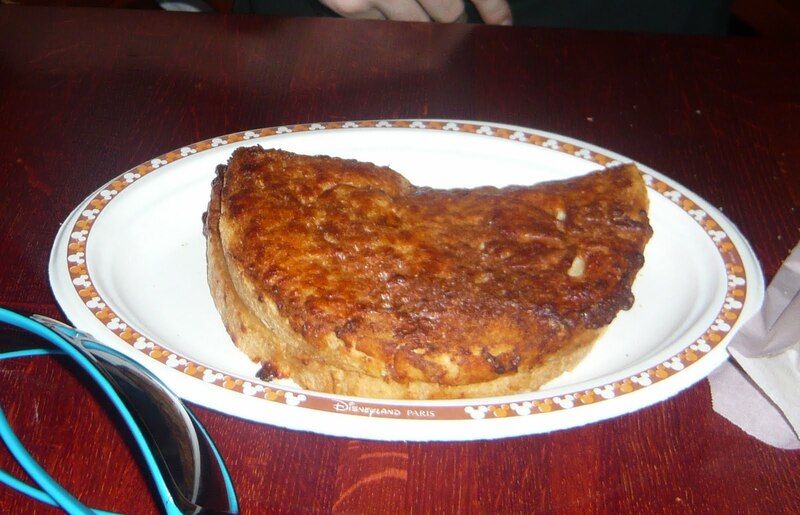 Another favourite of mine from the park is the Mickey Brioche! It's a French bread (shaped like a mickey head of course) that tastes sorta like a cross between a croissant and cake. It's got sugar crystals on top and it's filled with the most heavenly hazelnut chocolate! Here's a snap of the inside, sorry I don't have a photo of it in one piece lol! As you can see ... that's alotta filling! If you want a sugar rush ... this is the treat for you! Another of my favourites is the Croque-Monsieur ... or Mega Ham and Cheese Toastie! as I like to call it! And now ... into the shops! Here's some photos of cool foods from stores in Fantasyland last year! In hindsight I really wish I had picked these up! It would have been cool to see how they turned out! Has anyone else tried these? Now I'm not a breakfast person, I'll grab a breakfast bar and a carton of juice before I go out in the morning ... but when I'm in Disneyland ... everything changes! Basically I become a total morning pie and beast out on breakfast! If there is one tip I can offer about food in Disneyland Paris ... it's eat a big breakfast! I don't know about American parks, but the cost of food in Disneyland Paris can add up ... it's not crazy expensive but it's not cheap either! So if you're in a hotel where breakfast is included anyway ... go crazy! Eating a large breakfast means you won't be so hungry for the rest of the day and you'll be less likely to snack :) After eating this mountain of yummyness, I'm usually good until around 2/3pm when I'll have a Croque-Monsieur with a drink, and then I'll have some dinner at around 8pm. This way I miss peak eating times for lunch and dinner and can enjoy more rides while it's a bit quieter since everyone is off eating! Basic tip, but it works! And finally ... one of my favourite scenes from a Disney Movie involving food! This clip from Aladdin always sticks in my mind - I see it as a character defining moment for Aladdin (and Abu!) quite early on in the movie, to show that they are selfless, thoughtful, caring and kind. It's also caused me to want to hop about the supermarket singing "One Jump Ahead" whenever I pick up a fresh baguette! And then when I'm eating it (if no one's around) I chomp on it real loud with my mouth wide open and pretend I'm Abu! But everyone does that ... right?? lol! Hope you enjoyed my Disney Blog Hop post for this week! I love reading your posts! I want to try a Mickey Brioche now, it looks yummy. Nothing beats a cookie for breakfast... except maybe cake :-) Yum!! yummy!! I'm with Melissa... i want a brioche!!! Everything looks so scrumptious. I should have "hopped" earlier in the day. Now I'm lying in bed hungry. Silly me. Looks like I'll be bringing back a case!! lol!